written & composed by Rated R.
Lead vocals: Rated R. Keyboards, Bass: Steve Calloway. Guitars: Robert Lyles. Drums: Joe Martin. 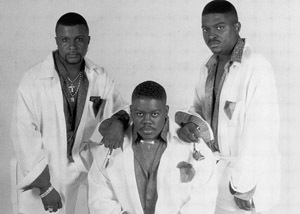 Backing vocals: Crissy M , TT McGowen & Cy. Recorded at Prime Time & SoundScape Studios. © Casual/Ratti records © & (p) 2007 amun/T-kay/Street Solid/Ratti records. Published by Ratti/T-kay music pub. Scandinavia Executive producers: Sam U GeorgE & Omari S. Tabu for AMUN.